Ms Barquin was found on Monday morning in a pond at Coldwater Golf Links in Ames, about 30 miles north of Des Moines. Barquín's victory in the European Ladies' Amateur in Slovakia had secured her an invitation to next year's Women's British Open at Woburn. Francesco Molinari became the first Italian player to win a major title after one of the most dramatic final rounds. Dustin Johnson has regained the world number one spot by winning the St Jude Classic in Memphis. The 33-year-old climbed back to the top of the world rankings for the first time since May 13, courtesy of his tournament-winning 19 under par score. Johnson's second tournament win of the season tees up the American nicely for the US Open, which starts on June 14. He won the 2016 edition of the US Open at Oakmont in 2016, and will carry extra momentum into this year's major at Shinnecock Hills in New York. Johnson entered the final day in a share of the lead with Andrew Putnam but was quickly handed the initiative when his fellow American made a double-bogey on the first. He maintained his two-shot lead at the turn and then made birdies on the 13th and 16th before spectacularly holing out from 171 yards on the par-four last for an eagle and a six-shot victory. JB Holmes finished third at nine under, a shot clear of 2009 Open champion Stewart Cink and Richy Werenski. Krista Glover will face court on May 31 on charges of domestic violence battery and resisting arrest without violence. A ban on Irn-Bru at Donald Trump's Ayrshire golf course has soured relations with some of the club's members. Patrick Reed held off fellow Americans Rickie Fowler and Jordan Spieth to claim his first major title as McIlroy missed out on Grand Slam. Tiger Woods has pleaded guilty to reckless driving and been sentenced to a year's probation. 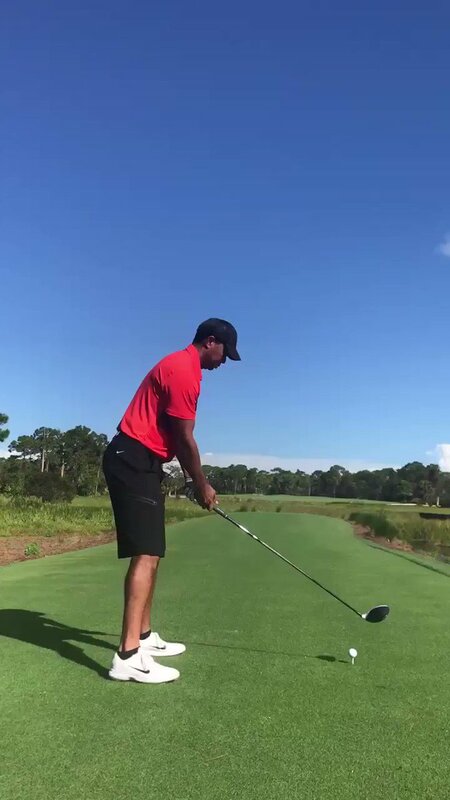 Tiger Woods' latest injury comeback appears to be on track after the 14-time major champion released a video of him driving the ball. The American, who only last month admitted it was possible he may never play competitive golf again as he continues his rehabilitation from back surgery, tweeted a nine-second clip in which he hits a drive while wearing his trademark Sunday red shirt, captioned "Making Progress". Woods has not played since an abortive return ended in February this year after a birdie-less first round in the Dubai Desert Classic and underwent back surgery for a fourth time in April. Speaking at a press conference ahead of the Presidents Cup in September, Woods was asked if his career could be over. He responded: "Yes, definitely. I don't know what the future holds for me. "Overall, I'm very optimistic how I'm progressing. The pain's gone, but I don't know what my golfing body is going to be like because I haven't hit a golf shot yet. Woods has also had problems away from the course, having been arrested on a drink-driving charge in May.